COULD SARDINIA BE THE LOST ISLAND OF ATLANTIS? ~ Sardinia Baby! COULD SARDINIA BE THE LOST ISLAND OF ATLANTIS? Top scholars have gathered in Rome recently to discuss the exciting and controversial idea that Sardinia is the lost island of Atlantis. The theory, developed in a book by the Italian journalist Sergio Frau, has drawn international acclaim but also fuelled heated criticism. Despite selling 30,000 copies in Italy, a detailed 20-point appeal by 250 academics has dismissed the book, claiming it sensationalizes Sardinian history. But the theory received a major boost last year, when the United Nations cultural heritage body UNESCO organised a symposium on the issue in Paris, suggesting the idea was worth serious consideration. Academics, archaeologists, geologists and historians from across Italy have met in Rome’s Accademia dei Lincei to look at the theory in closer depth and discuss possible paths of future research. The first documented mention of the island dates back to ancient Greek philosopher Plato – circa 427-347 BC – who said it was destroyed by a natural disaster, possibly a tsunami. Traditional theories have placed it somewhere in the Atlantic Ocean because Plato said it was beyond the Pillars of Hercules which, according to another ancient writer, Erathosthenes, were at the Straits of Gibraltar. But Frau believes Erathosthenes, a librarian and geographer who lived in Alexandria in the third and second centuries BC, got it wrong and that the Pillars of Hercules were actually on Sicily. Frau had his brainwave after seeing a print of two maps of the Mediterranean as it was in the Bronze Age. One showed Tunisia and Sicily almost touching; the other, of the Straits of Gibraltar, was remarkably similar . Frau thinks Erathosthenes moved the pillars because in the 120 years between Plato’s era and his, the Greek world changed dramatically, and the strait between Sicily and Africa was no longer at the outer reaches of the Empire. Furthermore, geological shifts and rising sea levels widened the distance between Tunisia and Sicily, contributing to Erathosthenes’ mistake and reinforcing it over time. If the Pillars of Hercules really were in Sicily, Sardinia would be the obvious location for Atlantis. Frau’s research has revealed that the Nuragic civilisation – named after the Nuraghes (stone towers) that were built on the island – flourished on Shardana (Sardinia) between 1400-1200 BC . A catastrophic event, possibly a tsunami, is thought to have wiped the Nuragic people off Sardinia during the Bronze Age, around 1178-1175 BC . 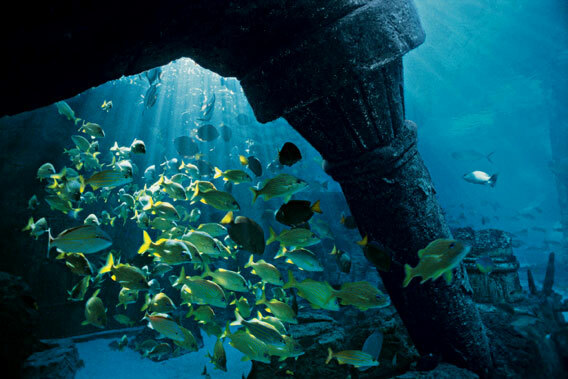 Although Plato dated Atlantis to 9,000 years before his time, many historians think he meant 900 years, basing their judgments on his descriptions of the writing and bronze to be found on the island . Furthermore, if the Pillars of Hercules were moved to the Straits of Sicily, Frau argues that many classical writings become more accurate in geographical terms. For example, Herodotus writes of Corsica and the ancient city of Tartessos in one story as if they were near one another. If Tartessos were beyond the Pillars of Hercules in Gibraltar, the journey from there to Corsica would take more than a month by boat . Another writer, Dicearcus, says that the end of the Adriatic is further from Greece than the Pillars of Hercules. “Malta and Gozo square up with this description, but not Gibraltar,” Frau said.